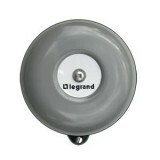 This legrand 240V AC 100mm bell will ring at the loudness of 96db and must be installed by a qualified electrician. 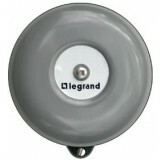 This legrand 240V AC 150mm bell will ring at the loudness of 100db and must be installed by a qualified electrician. 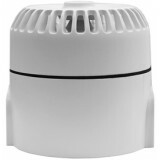 This Roshni 240v ac Maxi Sounder will ring at the loudness of up to 107db and must be installed by a qualified electrician. 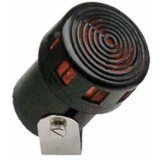 This legrand 240v ac external siren will ring at the loudness of 102db and must be installed by a qualified electrician.